The other half of student-athletes’ grueling practice schedules is how they feed themselves during the off hours. More frequently, however, schools are realizing that how their athletes eat is insufficient. Now, schools are beginning to invest in the other half of the equation, as athletic performance is deeply tied to what each player eats. Gone are the days when schools provide one nutritious meal a day to their athletes, while otherwise keeping them on blandly strict diets. University of Texas is just one of the colleges that has recently invested in a dining facility specifically aligned with NCAA nutrition guidelines that offers athletes an abundance of delicious food. The latest trend in athletic nutrition is not unlike nutrition trends in the rest of the population. At the Texas Athletics Nutrition Center, which opened in 2014, athletes can find meals comprised of dishes like grain bowls or wood-fired pizzas. That’s not where the offerings at the state of the art facility end, however. Sports dietitians take players on shopping trips, so they can learn how to buy components for healthy meals, The dietitians also provide more traditional services, like helping to craft meal plans, while encouraging student-athletes to develop long-term goals. “We like to use TANC as a learning lab of sorts,” says Amy Culp, the Assistant Athletics Director/Sports Dietitian at UT. UT Austin isn’t the only school making the switch. As NCAA guidelines were updated to provide students with more and better food, many of the most series athletics programs around the country have been implementing vast overhauls of their culinary offerings. 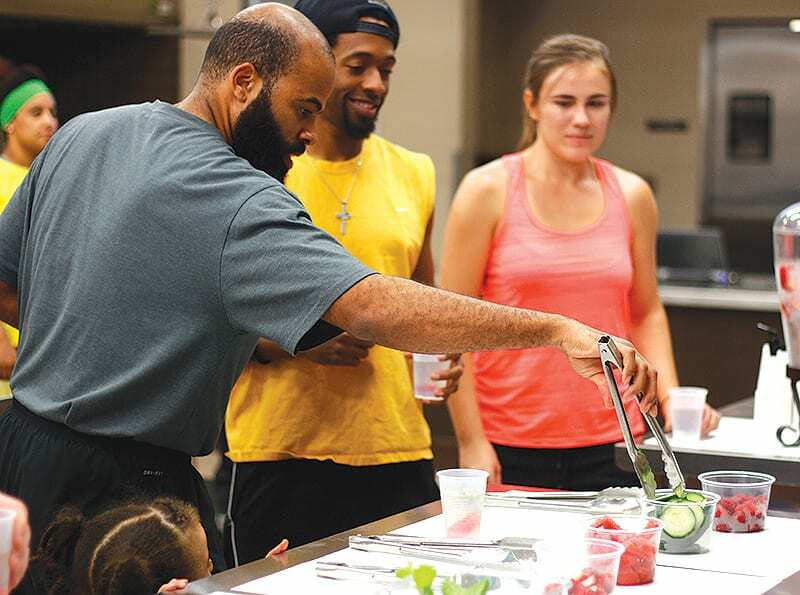 Purdue has been encouraging athletes to grow their own produce in their new community garden, while Auburn added on a new “wellness kitchen” for its athletes. Student-athletes have been more encouraged to stick to their healthy eating plans, now that so many schools are offering individualized attention.